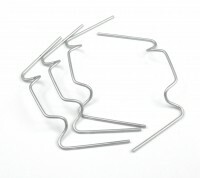 Suitable for AGL and Halls greenhouse models, Zinc Coated W-clips. These clips are used for both toughened and horticultural glass glazing. Suitable for AGL and Halls greenhouse models, in particular Supreme, Sandringham, and Silverline. This strip is used with acrylic panels on curved eaves. 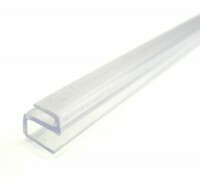 Clear acrylic for curved eaves greenhouses. This special acrylic is designed not to fade, or crack (which was one of the problems with this material in the past). This flexible enough to be bent to a curve, but is not suitable as replacement of a non curved piece of glass. Ask a question about "Halls Curved Acrylic Panel 610mm x 604mm"
hi, always use the greenhouse people, my last order though has been quite a trial, after receiving my order you sent out 4 610 x 440, when i contacted you , you immediatly sent out another 4 panels, but they were 610 x 440 as well! i am still waiting on the 610 x 608 to be delivered, but your service has always been very good and i will certainly not let that put me off ordering from you again. delivery is fast and my problem was dealt with in a very polite and positive way. Write a review of "Halls Curved Acrylic Panel 610mm x 604mm"